KPH United is a community group set up to support the Kensington Park Hotel pub in its fight to remain a pub. 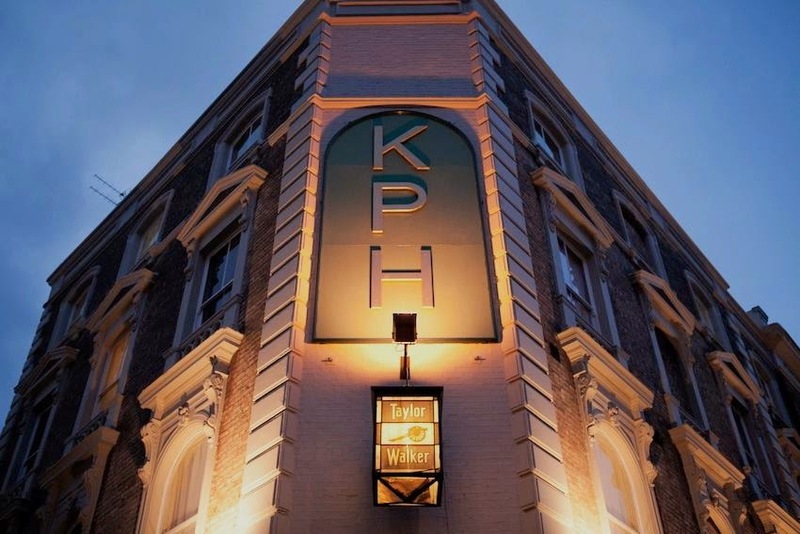 The KPH is a bar and event space with heart, live music, good food and community spirit. KPH United. 139 Ladbroke Grove. London. W10 6HY. The 2nd meeting of the KPH supporters community group was held in the Theatre upstairs at the KPH on 25 November 2014. Our constitution was ratified, Chairman elected, key posts including social media and press liaison voted in. Our social media sites were launched. Our ACV Nomination document is being prepared and petitioning can begin now. Links and contact details were distributed in the meeting and in the Minutes. Our local ward Councillor drew our attention to the Ladbroke Draft Conservation Area Appraisal wherein the KPH is listed as a Positive Building and features with a photograph. Comments are requested and we can take this opportunity to request the Article 4 Direction be applied to the KPH; it was suggested we could even request a blanket A4D be applied for all pubs in the Area. Deadline 19 December. 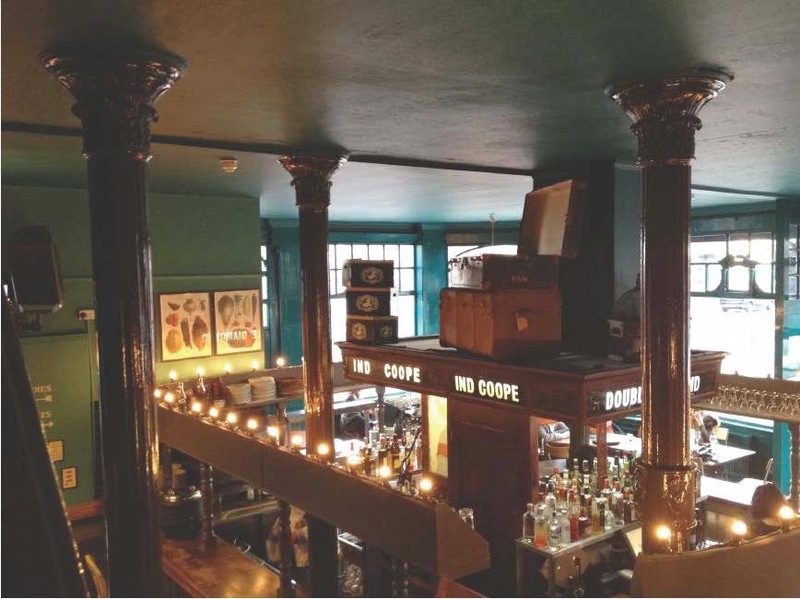 The draft Ladbroke Conservation Area Appraisal outlines the historic and architectural significance of Ladbroke Conservation Area and describes the area’s character and appearance. The Council has a statutory duty to preserve or enhance the character or appearance of conservation area and this document will assist the Council in undertaking this duty. The character of a conservation area is defined by a combination of architecture, materials and detailing as well as the relationship betweenbuildings and their settings. Many other elements contribute to character such as the placement of buildings within their plots; views and vistas; the relationship between the street and the buildings and the presence of trees and green space. 2.35 These buildings make a positive contribution to the historic and architectural character and appearance of the conservation area. They are a key reason for the designation and significance of the conservation area. Demolition or unsympathetic alterations will normally be resisted. There are already a host of events and activities enjoyed by the local community at the KPH but that didn't stop us coming up with some more to add to their bookings diary. Favourite was the "KPH United Choir" -- plans were already afoot to get this underway, with a choir master having been approached. The support in the room was so tunefully positive, we're off to a great start. We have yoga classes held weekly upstairs and arms were not twisted to get more signed up. The Alzheimers' Society are being approached to give "Dementia Friends" talks here. We're already working on a History of Local Pubs lecture night with interest from other endangered local pubs in joining in. Photography workshops, Jitterbug lessons, youth orchestra rehearsals... it's all on the cards. Who can say we've not got it going on. The inaugural meeting of the KPH supporters community group was held on Tuesday 21 October 2014 in the Green Room at the Kensington Park Hotel. The meeting which was attended by representatives of the Campaign for Real Ale ("CAMRA") West London branch and 28 locals including the pub manager, a ward Councillor and members of the Kensington Society and Portobello Cafe Society. A brief history of the pub and its current predicament was read out to those attending (for summary see previous blog post). Sadly we are not alone. So many pubs in RBK&C have called last orders and news is spreading of others within walking distance sold to developers or with current owners who have indicated that leases will not be renewed. To quote the CAMRA in their Dec/Jan issue of "London Drinker" magazine (vol 6 no 36), "This aggressive and vehement destruction of an historic community pub typifies the present war we find ourselves in. It is approaching the stage that we could fill half of London Drinker’s pages with very similar stories of threatened pubs. Only the planning system can save pubs. The Royal Borough has an admirable pub protection policy... We must put our faith in this but also support the campaigners in their quest for an ACV registration and an Article 4 Direction." These two routes were explained by CAMRA in the meeting, with more information provided to the attendees in our follow-up meeting notes. Sometimes referred to as the Community Right To Bid. Under new powers introduced by the 2011 Localism Act, pubs can now be nominated to be listed by a local Council as an Asset of Community Value. This gives pub supporters the opportunity to “stop the clock” on the sale of a pub to explore options for saving it. CAMRA recommends groups nominate the pub as an Unincorporated Group. For this you a minimum 21 people (of different addresses) to nominate the asset. Under ARTICLE 4 OF THE TOWN & COUNTRY PLANNING (GENERAL PERMITTED DEVELOPMENT) ORDER 1995, Councils can invoke special powers to withdraw permitted development rights and block change of use rights. The measures apply for 6 months but the council can make it permanent if enough public support can be demonstrated. We decided to employ both these "blunt tools", being the only ones we have at our disposal under present planning regs. We're endebted to CAMRA for all the help getting us to this stage. By the end of the night we had more than the 21 signatures required on our ACV community group form. The KPH supporters are united. This is a campaign by the community to support the Kensington Park Hotel ("KPH") in its fight to remain a pub. The KPH was built in the 1860s and survived in its current form largely unchanged for the best part of a century. In summer 2013, the freehold of the pub (like many pub freeholds) was sold to a development company. The new freeholder is not a pub company like the last, but a property development company. Within a matter of weeks following its acquisition of the KPH, the new freeholder commenced court proceedings to forfeit the tenant's lease. The KPH has had the same tenant for over 25 years. Should it fail in its current attempt to obtain early termination of the KPH lease, the new freeholder will refuse to grant a new lease when it comes up for renewal in January 2016. The new freeholder has no interest in the KPH as a pub – indeed the continued trading of the pub is a major distraction to its agenda. The new freeholder intends to close the KPH at the earliest opportunity in order to implement its development plans. Recently under new management, the pub has been taken to the hearts of the local community like never before. It's become a friendly hub for the locals and offers a warm welcome to the visitors and tourists that make our area so vibrant. We have lost so many pubs in walking distance of the KPH to developers already. We are determined that the KPH will not be one of them. Twitter - Tweet! Retweet! Follow! Facebook - Like us? Like us!